Richmond's city council approved the $1 billion project after a six-hour hearing marked by sharp divisions of opinion. The upgrade at Chevron's Richmond refinery will allow the company to refine higher-sulfur crude oil. It's a smaller version of a project the company first proposed in 2005, and which was stopped by a lawsuit in 2009. The modernization project, as Chevron calls it, centers around the construction of a new hydrogen plant. Hydrogen is used to clean sulfur out of crude oil. Chevron is looking to refine higher-sulfur crude, also known as sour crude or dirty crude, because, the company says, that's what they're getting from declining oil fields. The project that passed the council late Tuesday night is a revised version of Chevron's proposal. Known as Alternative 11, the project caps greenhouse gas emissions; instead of no net increase, there will be no increase in greenhouse gas emissions, period. With the upgrade, Chevron will be able to process more sulfur, but Alternative 11 permits Chevron to process less than the company originally wanted. Alternative 11 could actually reduce the amount of crude oil moving through the refinery. "It's going to have to do more to refine higher-sulfur crude, which means it's going to have to use more energy to refine that higher-sulfur crude, which means it won't have enough energy left over to refine as much crude," explained Jennifer Hernandez, an attorney with Holland & Knight, and the city's lead consultant on the project. Alternative 11 got the endorsement of Attorney General Kamala Harris. It's what the Richmond planning commission approved, too, and last week Chevron got on board with it. The planning commission had recommended additional pollution control conditions be placed on the project. The city council didn't approve those, but did pass two other last-minute conditions. One requires Chevron to replace all pipes that are at risk of corroding. (A ruptured pipe was the cause of a refinery fire in August 2012 that sent thousands of people to local hospitals.) The other requires Chevron to install more equipment to improve particulate matter testing. Hundreds of people attended Tuesday night's city council meeting, and dozens commented on the project. People turned out in blue-and-white baseball tees for Chevron, neon green t-shirts for the Asian Pacific Environmental Network and red t-shirts for the struggling Doctors Medical Center, whose supporters wanted funding from the project. There was applause, foot-stomping and an occasional hoot from the crowd. 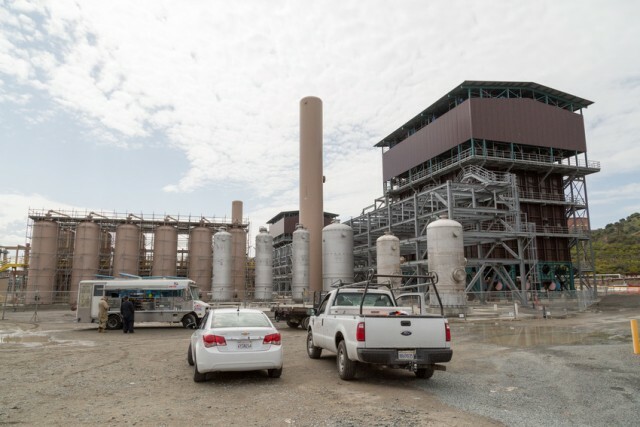 The public comments centered on jobs, money, air pollution and Chevron's role in Richmond. "I don't know any community that wouldn't want a billion-dollar project," said Tom Waller, a resident of Hercules. Francis Adams said, as a teacher, she found Chevron to be a good partner to the community. "Whenever I asked them for anything at the school," she said, "they always had me come down, and they gave me a check." "Don't give our kids backpacks and ice cream, and then give them asthma and cancer," thundered Richmond resident Rebecca Auerbach. As part of the agreement, Chevron is also giving $90 million in money and land for community investments. The money would go to scholarships, job training and greenhouse gas reduction programs in the city. The land is a 60-acre in-kind donation of Chevron's property, to be set aside for a solar farm. "Instead of glass half-empty or half-full we got about 70 percent of what we wanted," said Andrés Soto of Communities for a Better Environment. He said he thinks the project as it stands now is better than the 2008 version, which CBE sued over, and better than what it was a month ago. Nonetheless, he said CBE is considering its options. Representatives of the group hinted at a possible lawsuit at Tuesday's hearing. Either way, this project is headed to court. The Contra Costa Superior Court must lift its order prohibiting Chevron from moving ahead with the project; the order is still in place from the earlier lawsuit. Chevron officials say they hope they'll be cleared to move ahead in early 2015.